It’s hard to know what to believe these days. The mainstream media cares about ratings more than veracity or depth, so there’s always an undertone of urgency to the news. Likewise, pundits are out to sell books, increase circulation of their columns, and keep their names on the air, so they make a living off of controversy. Worst of all, sophisticated ideologues are adept at hijacking issues or movements and turning them to their own purposes. How can we filter this constant stream of misinformation and disinformation and get to something resembling the truth? The controversy: Vaccines. On the one hand, people argue that vaccines are safe and effective, and that not getting vaccinated puts not only the unvaccinated person at risk of contracting various diseases, but the vaccinated as well. On the other hand, people argue that vaccines are not nearly as safe as they are touted to be, and they can cause more harm than the disease they are meant to protect us from. A dose of reason: Vaccines have proven highly effective (but not perfect) at greatly curtailing diseases such as Polio, Mumps, Measles, Small Pox, Typhoid, and Rubella. Very few people, (but not zero) suffer any ill effects from receiving FDA-approved vaccines (unproven, or experimental vaccines, are a subject for another post). A mercury-based preservative called thimerosal is used in some vaccines, but it was phased out of vaccinations meant for children beginning in 1999. A sampling of anti-vaccine literature would have us believe thimerosal and other substances in vaccines can cause autism or other ill effects. There is no hard proof of this. Bottom line: On balance, vaccines are an overall benefit, though they are imperfect. We should not disregard the good just because it is not perfect, especially if “good” is the best we have. The extreme low risk of side effects compared to the very real risk of contracting a disease suggest that it is generally safer to get vaccinated than to refuse to do so – but do your homework. You use muddied language (e.g. “Consensus: 97% of climate scientists agree”). That’s the same as saying “the scientists that agree, agree. 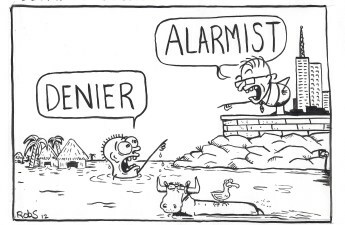 Those who don’t, disagree.” In other words, there is no consensus among climate scientists! A reasoned view: Human-caused climate change may be real, but the “science” used to prove that is far from “settled,” and the implied catastrophe is far from certain. 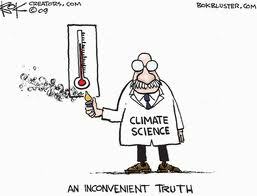 In fact, climate science is driven far more by politics and funding than by the desire to know the objective truth. Bottom line: Take dire warnings of climate catastrophe with a grain of salt and don’t feel guilty for enjoying your modern standard of living, but don’t grossly pollute through sheer neglect or wanton disregard for the environment.